Found in Brevard County, Florida, Titusville is a city with a population of about 44,500 residents. It's found near the Kennedy Space Center and it's a part of a larger metro area. The Space Center, along with the beaches nearby, attract thousands of visitors every single year. With so many visitors coming to the area for the attractions and the nearby beaches, it can be a bit crowded. Titusville also sees an influx of snowbird residents in the winter season. This time of year, the roads can become dangerous due to the many drivers with different styles of driving on the roads. Interstate 95 runs directly through Titusville and provides a major thoroughfare between North and South Florida. More than 189,000 vehicles travel on the Florida portion of I-95 every single day. The most deadly highway in the entire county is the Florida section of I-95. More than 4,500 traffic crashes occur in Brevard County every single year with about 200 fatalities. Traffic accident stats are trending upwards in the area. If those in charge of monitoring the roads didn't do their job, these stats would be much higher. Officials in Brevard County handed out more than 27,700 traffic tickets to drivers breaking the law. The top offense was speeding with more than 13,000 citations. Another 2,500+ drivers were ticketed for careless driving, which is the number one cause of accidents in Florida. Judges in the area only dismiss about 10% of the tickets issues. Your chances of getting out of a ticket in Titusville are very slim. Having a suspended driver's license in Titusville makes living in the area no fun. You have to call a cab or beg a friend to give you a ride anywhere you need to go. It's hard to keep a job without a way to get to it every single day. In addition, if you're caught driving on a suspended license, you will face up to $500 in fines and 90 days in jail. 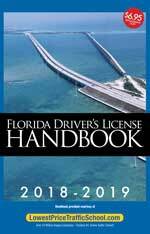 It only takes 12 points over a one-year period to end up with a suspended license in Florida. The suspensions range from 30 days to 365 days for traffic tickets and get worse the more points you get. The best way to keep your license in Titusville is to obey the traffic laws. Plead guilty or no contest to the ticket and pay the fine with the clerk of the court. Inform the clerk of the court you will enroll in online traffic school. Enroll in the basic driver improvement course online. Take and complete the course. This simple five-step plan will allow you to erase the points from a recent ticket and will keep your insurance company from hiking up your rates. Are you Eligible to Use Traffic School? The rules for using traffic school to avoid points are very simple. You get five opportunities in your lifetime as a resident of Florida. However, these five opportunities cannot just be used whenever you want. You can only take the basic driver improvement course once every 12 months. If you haven't taken the course in at least 12 months or a total of 5 times, you can use it to avoid points on your license. Any traffic ticket issued in the Titusville area will be processed by the Brevard County Clerk of the Court. 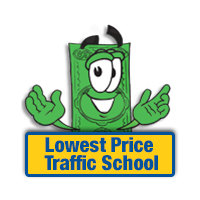 The clerk of the court will handle your payment, your questions and will take your certificate of completion from traffic school. If you need more info about the Brevard County Clerk of the Court, you can visit their website.